But there are some other strategies that you can get started with little or no money. 3. You can post free “We Buy Houses” listings on Craig’s List with just your phone number. 5. Get some business cards and pass them out everywhere. You never know where your next lead will come from. You can get really nice, very reasonable business cards from Vista Print. 7. Get busy networking to get your name out there. A good place to start is your local REIA meeting. Listen in as I discuss “Networking Your Way To Your First Deal” with Brian Haskins by Clicking Here. 8. Put up a basic website. This will make you look like a real business. There are a number of free alternatives out there. You can set up a simple WordPress site free here at WordPress.com, or just do a Google search to find some other alternatives. There are also a lot of low cost alternatives. 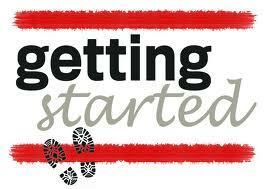 I hope these posts help you take those important first steps “Getting Started”. Remember that we all started the same way. The important thing is just to get started on your path to financial freedom and creating a life that you love! ← Are You Just Starting Your Real Estate Investing Business? Here is the link Steve. Try to subscribe again so you will get the notifications. Sorry I missed this before. Great stuff Sharon! Marketing is such a key aspect in any business and the information provided above is gold!! Marketing is a real estate investor’s #1 job. Thanks for reading.